Ham and Cheese Quiche is the best way to use your leftover holiday ham. The crust has a flaky texture and buttery taste. 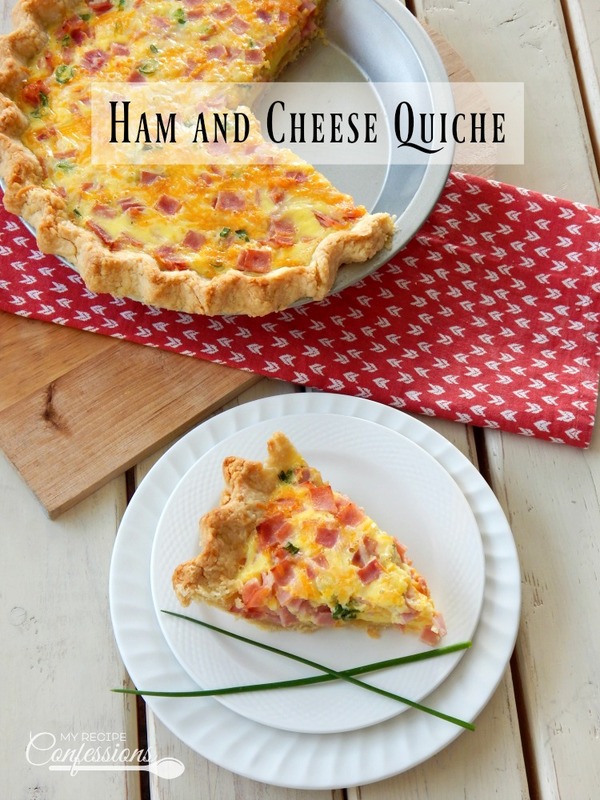 This recipe is easy and makes the best Ham and Cheese Quiche you will ever taste! 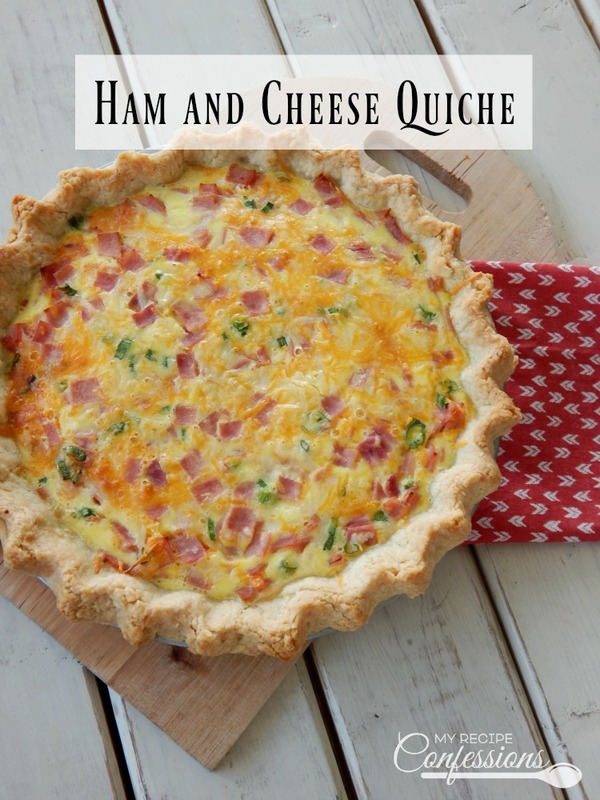 When making this Ham and Cheese Quiche I would recommend using my Flaky Pie Crust Recipe. A store bought frozen crust will work fine but the homemade crust has so much more flavor. I made my quiche in a 9-inch pie pan because I had to make two quiches and I only have one tart pan. If you have a 10-inch tart pan, you can use that as well. If you use a tart pan, you will most likely have leftover dough and leftover filling with this recipe. This quiche is great to be served for breakfast or brunch alongside a fresh fruit salad. 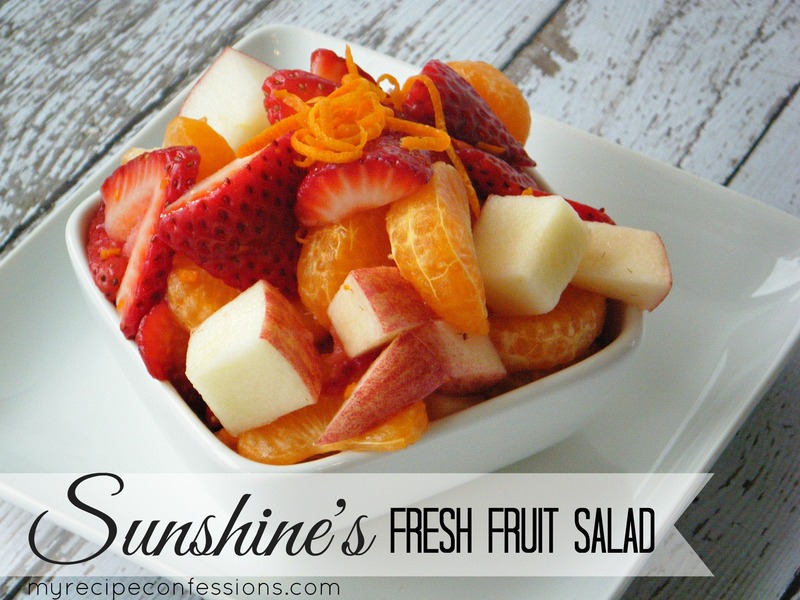 I have listed a few of my favorite fresh fruit recipes below. Then again, it can be served for dinner as well. I made this the other night for dinner. 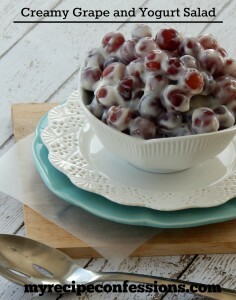 Really it is amazing no matter what time of day you eat it. 1. Spread the ham, cheddar cheese, mozzarella cheese, and green onions evenly in the bottom of the pie crust. 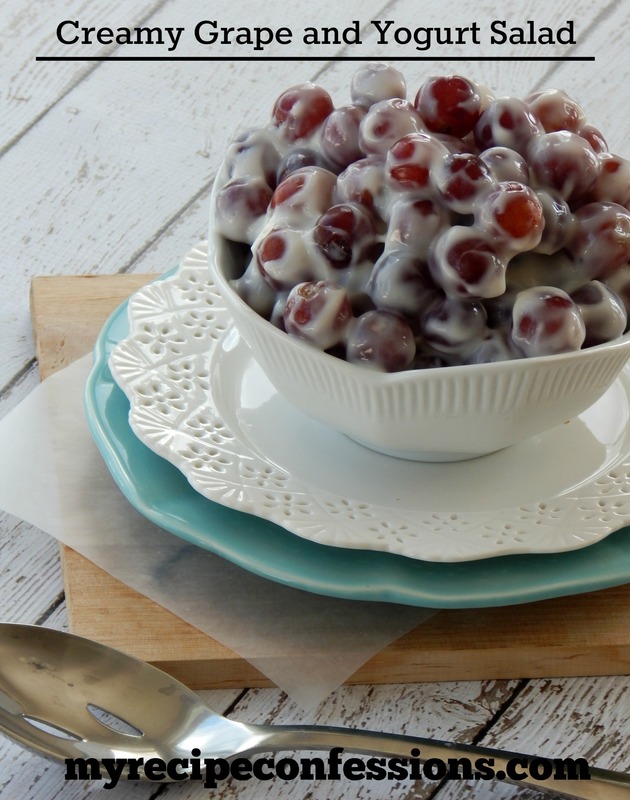 In a medium sized bowl, beat the eggs. Whisk in the sour cream, half & half, salt, garlic powder, and flour into the eggs. 2. Pour the egg mixture over the ham and cheese. 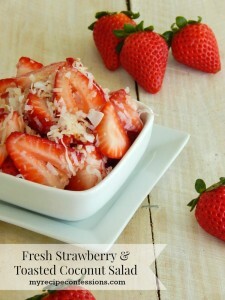 Place in the oven and bake for 35 to 40 minutes or until it is set up. 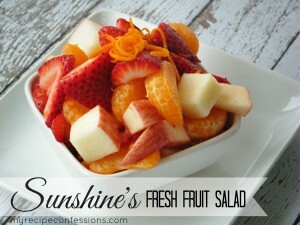 These Fresh Fruit Salads would be perfect served alongside the Ham and Cheese Quiche.